The last time this was available it sold out! Head over to get this Fur-Lined Plaid Flannel for ONLY $16.99 (Retail $46.99)! Our Fur Lined Plaid is amazing! 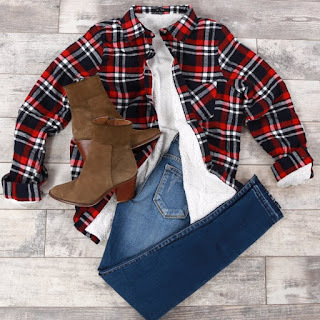 Unlike a regular flannel top, this one is designed to keep you extra cozy! They look great over jeans and thermals - stay warm and stylish this season in one!